The time has come and the handover of the slipway and getting our grounds back is imminent (Friday July 13), so although short notice we would like to organise a working party for Saturday 14 July starting at 9am. The aim of the Working party is to clear the car park and the grass area infront of the club, with boats going back into the positions they were in before the move – where possible. 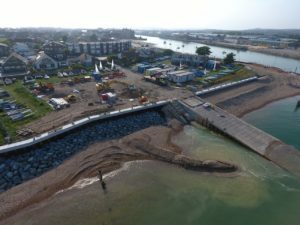 We are also looking for someone to help Jeff with the jetwashing of the slipway – this is a very priveledged position allowing first access to this wonderful new adition to the club! Members are also reminded that they are also required to keep the grass around their boats mowed and kept in order – something we have been lenient on due to the current circumstances, but it is time to clear and tidy up and make our club look its best.